Funkwerks Punch is good. So good that I think it is my new brew for spring. Funkwerks has been my favorite Brewery in Fort Collins Colorado since it opened. To some this would be blasphemy in the mecca of beer with breweries such as New Belgium and Odell, but Funkwerks c is something very special and each of their beers are expertly and passionately crafted. Their flagship Saison has always been one of my favorite beers, and I am not alone since it won the gold at Great American Beer Fest in the Saison category; it is truly top of its class in every way. 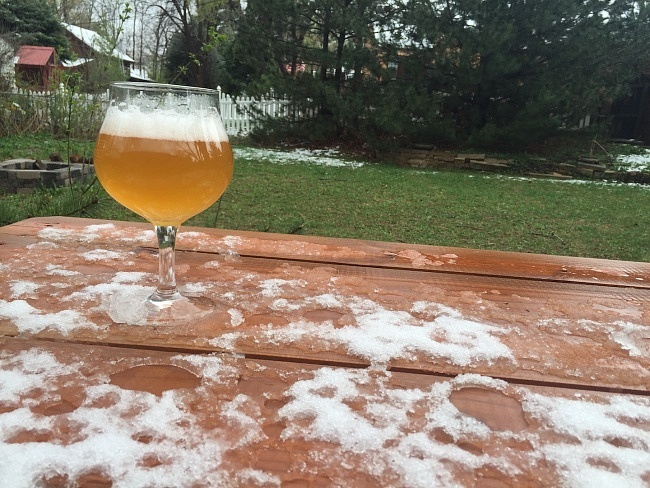 The original Saison is a bit spicy with banana notes and barley notes that are not biscuity per say but much more clean and refreshing, it makes a great warm weather refreshing beer that still has a mighty punch at 6.8% abv. 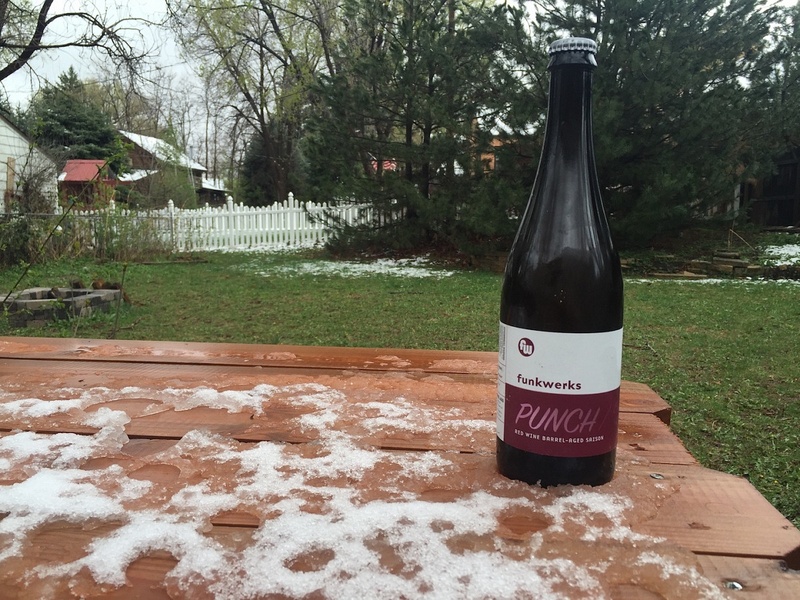 But, as good as their flagship Saison is; the red wine barrel aged Funkwerks Punch is out of this world. The name Punch comes from the Puncheon red wine barrels the original Saison was aged in, and these barrels added something incredible to the already outrageously good Saison base beer. Funkwerks Punch poured out of a 750mL bottle into a standard Saison glass delivers a golden hued light colored beer that seems unaffected by the red wine barrels that it was aged in. A tall pure white head builds quickly but dissipates quite fast due to it not being dense at all as it expertly aerates the complex nose to come. The nose is a myriad of spice notes and tropical flavors; the major difference between Punch and the base Saison is the presence of red wine notes that really opens the whole nose up in complexity. The taste is incredible and only accented with the red wine barrel aging process as it mellowed and blended all the flavors extremely well. The strong tastes that the Saison yeast yields are mellowed by the wine notes making it a more subtle and dangerous, yet the wine and it’s tannins leave no trace of fruitiness and acidity, leaving the Saison to blossom on its own terms. The cracked barely gives a great base but it is not biscuity or overwhelming; matter of fact no single aspect of this brew overwhelming or domineering, they all play a delicate balance and support each other perfectly. 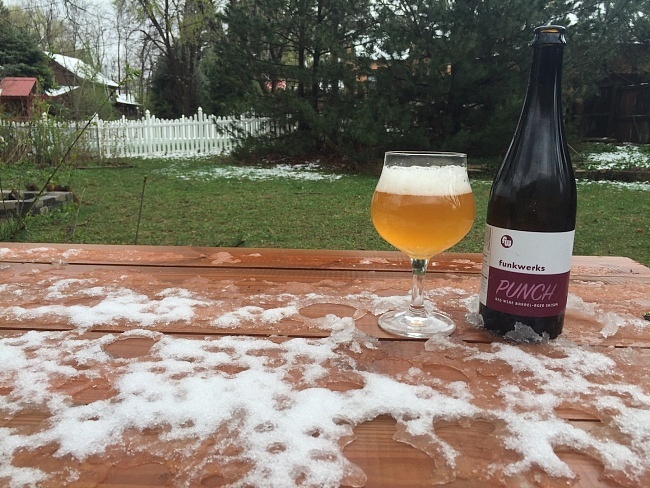 Punch finishes extremely clean with a hint of tartness that refreshes the palate, making an extremely easy drinking, balanced, and refreshing brew. Beware though; its easy drinking subtly paired with an increased 7.2% abv due to the barrelling process makes a beer that you want to drink a lot of, but could end with you napping on your sun-soaked porch for all your neighbors to see.